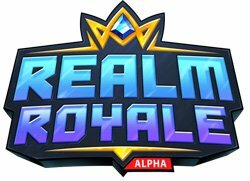 Welcome to our Realm Royale Engineer Class Ability List and Passive Ability for Nintendo Switch and PC. 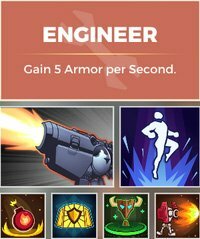 You can view the Best Weapon for Engineer in Realm Royale and details about how their abilities and Legendary Weapon. The Realm Royale Engineer Class has many useful abilities such as the ability to heal allies through a totem and deploy turrets for extra damage. 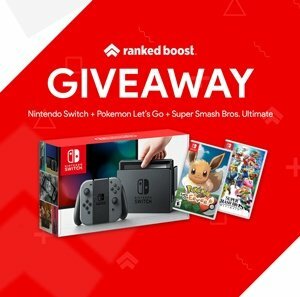 This Class tier list will apply across all platforms this game is available on PC and Nintendo Switch. The Engineer are geared controlling location with their Turrets and Shields, they also have a jump ability which grants them amazing mobility in a fight. #1 Thrust Jet upwards into the air. #2 Barricade Deploy a shield that blocks enemy shots. #3 Deploy Turret Deploy up to 2 turrets that shoot enemies. #4 Fire Bomb Throw a bomb that leaves a pool of fire. #5 Healing Totem Deploy a totem that heals allies. All ranks – Jet upwards into the air. All ranks – Deploy up to 2 turrets that shoot enemies.